A the beginning of the month, I was presented with the opportunity to meet some friends in Munich to attend Oktoberfest. Despite having attended the festival before when I lived in Germany, I thought this would be a great way to get away for a few days and to see folks I hadn’t hung out with since the beginning of the year when I was still in Cyprus. The proposed dates happened to fall on a four-day weekend here in Pakistan as well, so that helped make the decision easier since I didn’t have to take much time off. After all, my stock of leave is all but depleted after burning through most of it while hiking the Appalachian Trail earlier this summer. And so, the search for flights began. The thing I’m realizing about Pakistan, and Islamabad specifically, is that it’s easier to get around than I expected. All of the major Middle East airlines, known as the “ME3” (Emirates, Etihad, and Qatar) have direct flights from their hubs to Islamabad. As such, you can get almost anywhere in the world with those airlines and a minimal number of connections. Upon putting in my dates, I was able to find several itineraries that would get me to Munich same-day with just one stop. Pretty impressive! By looking at the flight times, it’s clear what the downside is: the departures are ridiculously early or involve an overnight component, which is less than ideal when the plan is to hit the ground running in Munich upon arrival. The solution for a situation where better flight times are not an option is to look at the premium cabin. 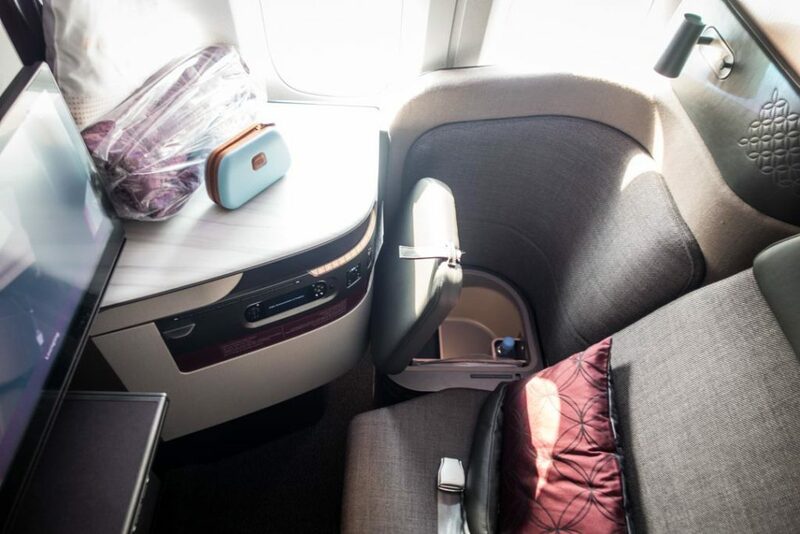 Flying in Business Class can be a real game changer because you not only get access to better food and service, but you can generally score a lie-flat seat that will allow for some shuteye on the way so you can arrive better-rested. 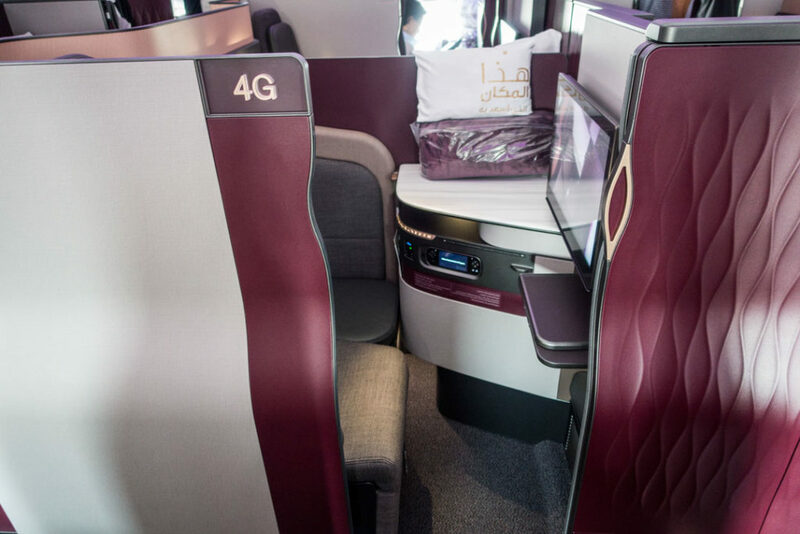 This is to be expected, as travelling in the premium cabin on Qatar is an entirely different experience than being in the back of the bus. However, this search was just for kicks as I never planned to fork out nearly $3,000 for a flight. Hell, even the $800 Economy flight is too rich for my blood! Instead, I began looking for options to use airline Frequent Flyer miles to book an award ticket in order to cover the majority of the cost. Navigating the intricacies of airline alliances and Frequent Flier miles can be incredibly confusing and contradictory. I believe this is partially by design as a way to encourage travelers to accumulate miles while making it too difficult to redeem them, thus benefiting the airline and not the consumer. Unfortunately for them, there is an army of geeks like me who love diving into this world and spending countless hours researching sweet spots and partnerships. Despite my experience, there’s still a lot I don’t know and I’m continually learning each and every day. I was surprised to see Japan Airlines (JAL) at the top of the list. I have never dealt with them before and thus had no idea that they had a partnership with Qatar. In my mind I was expecting to have to fork out quite a lot of AA miles, but seeing the result above changed my perspective. 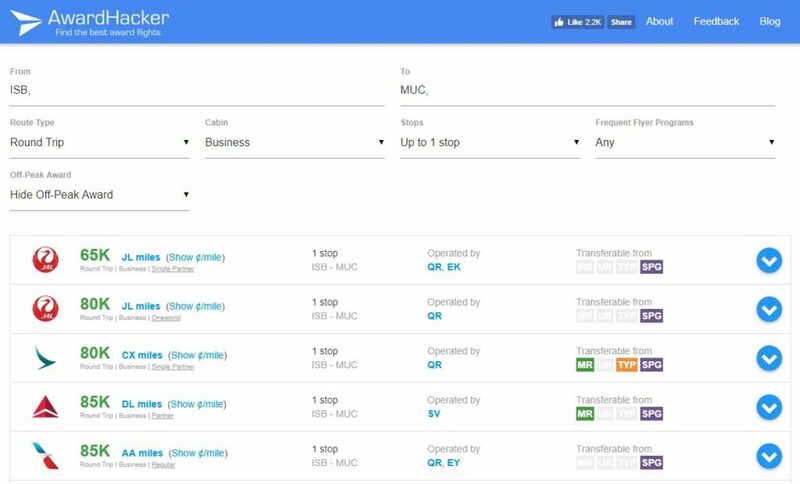 Even though I’m not flying BA, their search engine is the best for showing available reward seats for OneWorld carriers. The clear frontrunner was JAL as it cost 20,000 fewer miles than AA with the same fees. The difficulty in using JAL miles is that they are not easy to come by. In the “transferable from” column, the only option (other than flying) to accumulate JAL miles is to transfer from Starwood Preferred Guest (SPG – now merged with Marriott). After checking my points balance using AwardWallet–another great tool–I realized I had a sufficient amount to make it work. This is where the frustration began. Backing up a little, Marriott Hotels recently merged with Starwood Preferred Guest and Ritz Carlton to create one single hotel alliance and award program. All points balances were combined into Marriott’s pool and converted at a favorable rate (1 SPG point = 3 Marriott points). Under the previous program, SPG had the ability to transfer their points to a number of select airline miles at a 1:1 ratio plus 5,000 bonus miles for every 20,000 points transferred. This means that if you transferred 20,000 or 40,000 SPG points to JAL miles, for example, you would receive 25,000 or 50,000 JAL miles with the bonus, respectively. Marriott adopted this capability with the merger, but the currency had changed. Instead of getting 5,000 points as a bonus for transferring 20,000 SPG points, you now receive 15,000 bonus points for transferring 60,000 Marriott points. Confused yet? Simply put, the ratio is the same but is multiplied by three, so now 3 Marriot points are equal to 1 airline mile. By the time I wanted to book my flight, the programs had just completed their merger and I was sitting on a good stack of Marriott points. Since I had 0 miles with JAL, I ran the calculation and determined that I would need to transfer 165,000 Marriott points to obtain the required 65,000 JAL miles (165,000 Marriott points + 30,000 bonus points = 195,000 Marriott points. Divide by three and you have 65,000 JAL miles). The first hiccup with this process is that it takes up to seven days for this transfer to complete. After speaking with a representative at Marriott, they claimed it’s because JAL only does it’s conversions once per week in a batch and doesn’t process transfers outside of that timeframe. At this point I had about three weeks until the date of the flight, so I wasn’t too worried. I completed the transfer and checked my JAL account daily to see if it had been processed. Day after day, my balance still showed zilch. On the seventh day with no miles, I called Marriott to inquire and was told they had no record of the transfer being submitted. What?! They said there was nothing they could do except encourage me to re-submit the request and wait another seven days to see if it worked. It seems that there was some kind of glitch in their system due to the merger (go figure) and this was happening to lots of people. Frustrated, I immediately resubmitted the transfer request and crossed my fingers in hopes that it went through since I was running out of time. The only thing different this time around was that I could actually see the deduction of points in my Marriott account for the transfer, which I hadn’t noticed last time, so that seemed to indicate that it had processed. After another full week of waiting, I logged in to see that the transaction had finally gone through. To my shock and horror, however, I saw that they had transferred only 64,994 miles – shorting me six miles and leaving me with an insufficient amount to book my ticket. How could this be? A rounding error? A mistake? Who knows. I was furious and running out of time to book my ticket so I immediately put in for a transfer of 1,000 additional JAL miles, hoping they would be able to process it on the same day (yeah, right). At that point I was within seven days of my departure date so there was no way to get any extra miles deposited before it was too late. I got on the phone with JAL, where I immediately requested to be transferred to a supervisor, and asked as diplomatically as possible what the hell was going on. The agent had no idea what had happened, but seemed determined to figure it out which I very much appreciated. She asked if I could give her the rest of the day to look into it and then gave me her name and direct phone number in case I had any other questions. I graciously thanked her for the assistance and reiterated the urgency of my request before signing off and going to bed. The next morning, I awoke to a missed call from JAL. I immediately logged in to my account and was ecstatic to see that they had made an “adjustment” to provide me with the six missing miles, bringing my total to exactly 65,000. I don’t know what JAL did behind the scenes, but they worked their magic to straighten out the error. I’ve since heard of this same thing happening to multiple people on various forums when transferring Marriott points to airlines (not just JAL), so it seems that the issue has not yet been resolved. Get it together, Marriott! Once I had the proper amount of miles in my account, I was able to easily book the award flight from JAL’s website and get instant confirmation. What a relief and just in the nick of time! 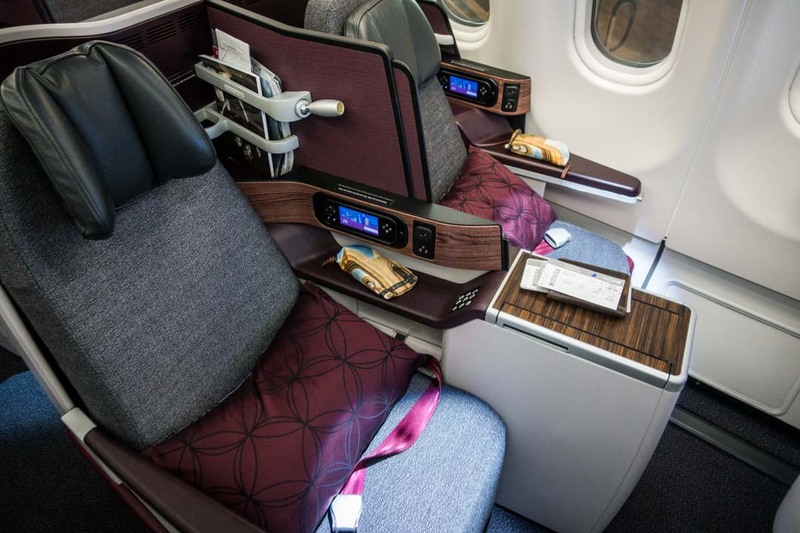 Qatar Airways is the world’s best airline, so I had high expectations for their business class product. 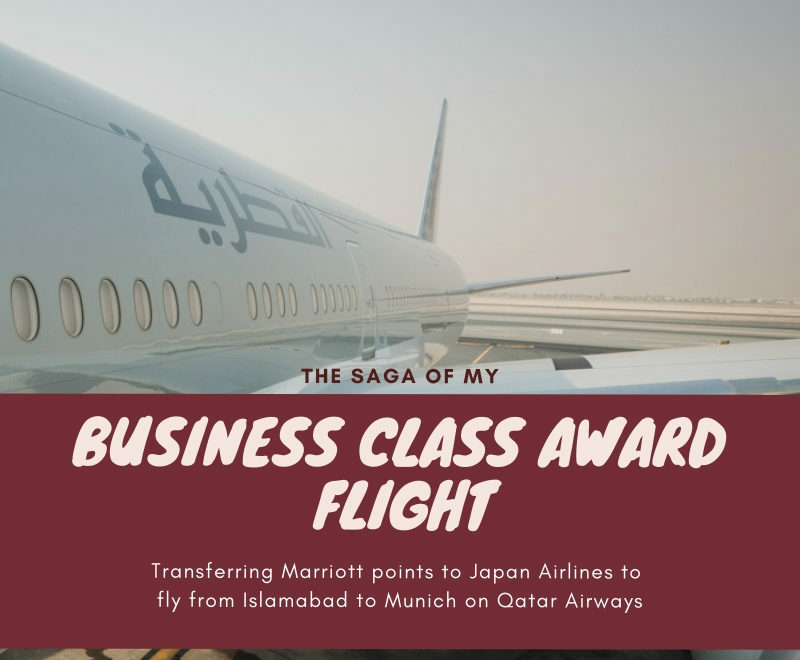 The first leg from ISB to DOH was on an Airbus A330-200, with a 2-2-2 seat configuration in the Business Class cabin, which was perfectly fine for the three-hour journey. I was able to relax, have a nap (we departed at 3am, after all), and enjoy a good breakfast on this segment which went very smoothly. Solid product even for a short-haul flight. 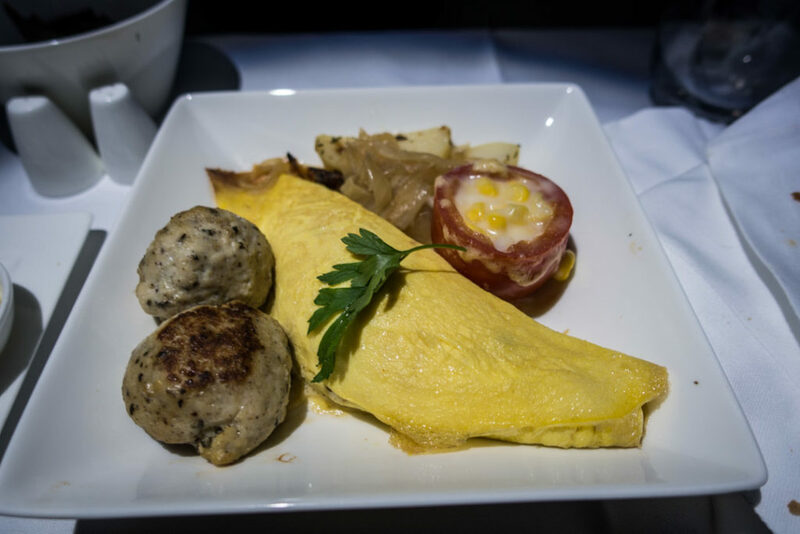 Omelet and meatballs? Whatever, it was good. 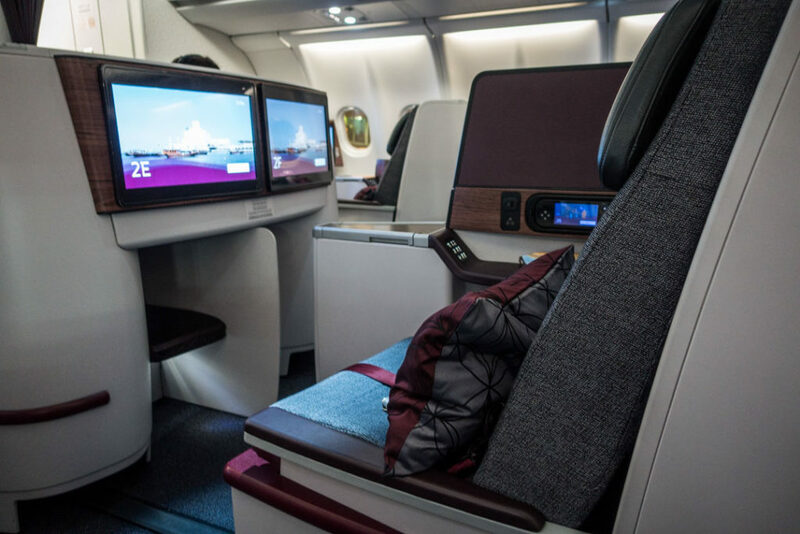 After spending a couple of hours in the swanky Al Mourjan Business Class Lounge in Doha, I boarded the flight to Munich on a Boeing 777-300ER which I had read had recently been fitted with their new Q Suites product that I was very excited to test out. In short, it was incredible. Q Suite from above. Like your own private closet in the air! Cheers! The frustration has paid off. In my opinion, the QSuites product is as good as it gets for Business Class travel. It’s almost on par with Singapore’s First Class Suites, but not quite (would need better champagne plus caviar!). However, for the price and value it really doesn’t get any better. 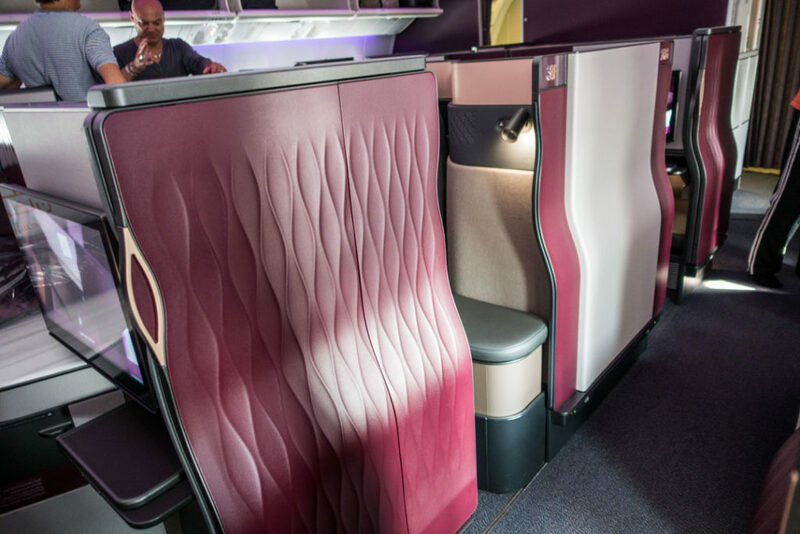 I had a wonderful experience flying from DOH to MUC on this product and the flight attendants nearly had to drag me off the plane when we arrived! The value of airline miles is often determined by the retail cost of the flight minus taxes & fees and divided by the amount of miles required for the award. Anything greater than 1 cent per point (cpp) is considered a good value, but more often than not you can achieve 3cpp or more with premium cabin flights. In our trip around the world last year, for example, we had an average redemption of 6.7cpp for our flights which is outstanding. For this trip the value came out to 4.3cpp ($2,670 retail cost – $305 taxes&fees)/55,000 JAL miles [extra 10,000 was the bonus]). This is an excellent value and a nice sweet spot, which is unfortunately going away in November when JAL award prices rise. With the devaluation of Marriott points (in my opinion) plus this deal going away, it was the ideal time to burn these points and get them off my plate so I can focus on earning in other capacities. I’m extremely happy with the value and product I experienced. 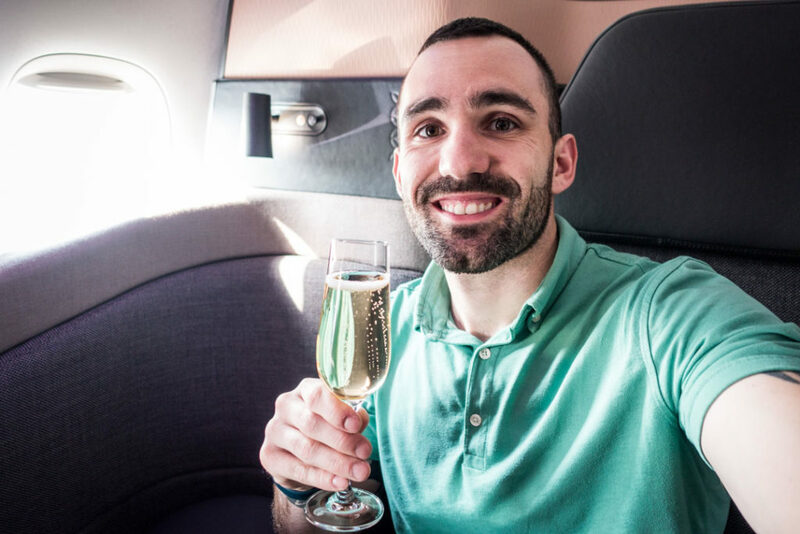 Despite dealing with the lunacy that is Marriott transfers, I was very happy with the flights and the fact that I paid just $300 for such an incredible experience with Qatar Airways. Flying this product allowed me to arrive in Munich well-rested and ready to start in on the festivities with my amigos, which I wasted no time doing. If you ever get the chance to fly Q Suites, I highly encourage it – unless it involves transferring points from Marriott, in which case you may want to reconsider. Thanks, bud! Anyone can do it :).